French President Charles de Gaulle once asked, “How can you govern a nation with over 246 varieties of cheese?” Way to lowball your country’s most famous food product, de Gaulle. It's got more than 1,000 types of cheeses, and most are usually consumed on their own, but inevitably a few find their way into cooked dishes. Often gooey, sometimes stringy, but always delicious, here are some of the best cheese dishes in Paris and where to find them. 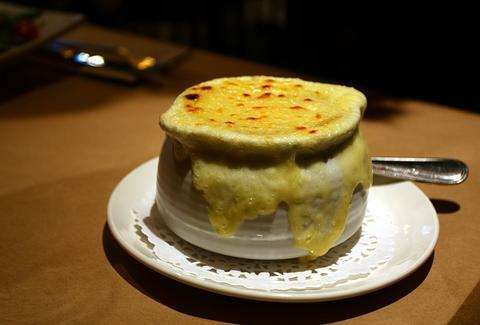 Onions and beef broth with baguette covered in cheese and baked -- there’s a reason this dish is so popular and iconic. 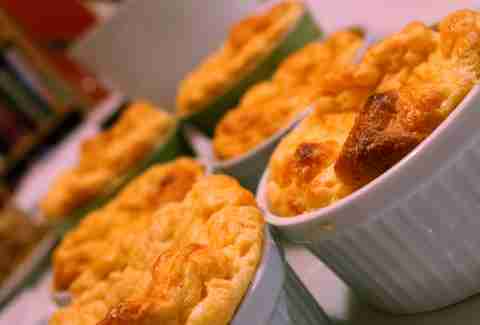 Beware -- while deliciously comforting, this is bad first date food. Diners usually end up with gooey strings of cheese dangling from their mouths. It’s one of the only soups requiring a knife and fork to eat respectably. This dish is DIY cheese cooking at its best. 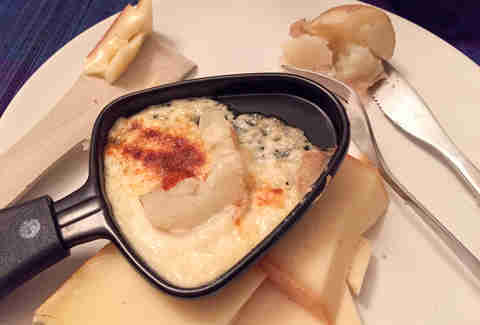 Melt bits of cheese and scrape them onto a bed of steamed potatoes and ham, then consume. Traditionally a mountain food, Paris has its specialty restaurants catering to all your melted cheese needs. 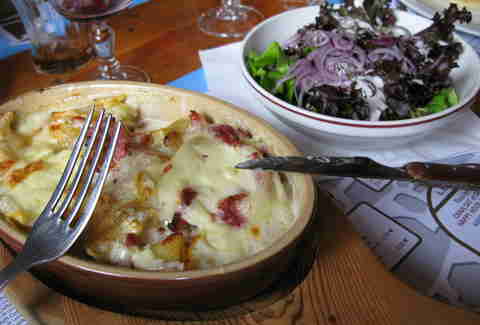 And if raclette seems like too much effort, any restaurant serving it will usually have tartiflette on the menu just below. The only work required is raising a fork to your mouth. Potatoes, reblochon cheese, onions, and (best of all) chunks of lardon make this casserole absolutely stunning -- just don’t tell your cardiologist. It bears repeating: sometimes just stick to the classics. An assiette de fromage might be the best way to go, with several different cheeses served up alongside sliced baguette. 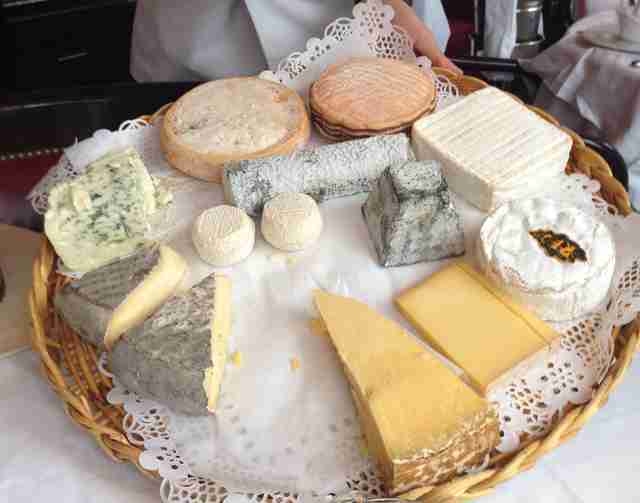 There are suggestions about having several milks, textures, and ages represented, but such rules are best casually ignored in favor of taking as much cheese as possible when the plate is passed around at Chez Casimir. 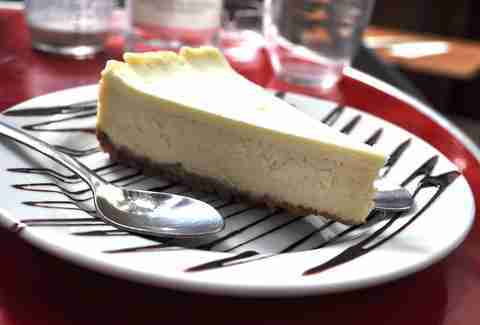 It took an American to score the city’s title of best cheesecake. Go figure. Let’s just assume the French were busy perfecting other desserts. Served all over town, Rachel’s matcha or raspberry varieties are fun twists, while the original is always a favorite way to exploit cheese in a dessert. A pot of melted cheese and bread -- what else do you need? 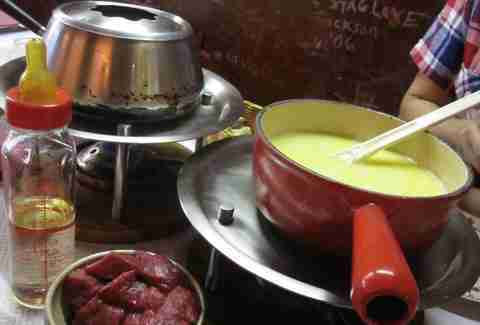 Big in the '60s in the US, fondue never went out of style in France. At Le Refuge des Fondus, they add a baby bottle full of wine, which might just be the only way to make the whole experience even better. 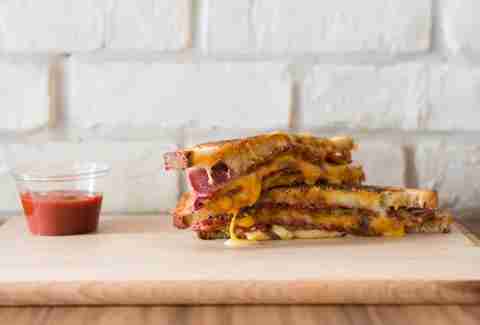 A staple of college students living away from home, the grilled cheese is a new Parisian frenzy, following on the heels of burgers and hot dogs. The French already have their grilled ham and cheese (the croque), but switching it up with Rocamadour cheese with spinach and fig jam, or aged Comté is a brilliant derivative. If you don’t want your cheese melted and gooey (what’s wrong with you?) you can try a soufflé. Puffed up and golden on top, cheese varieties can be found in several decent restaurants in Paris, but it’s not as common as you might think. 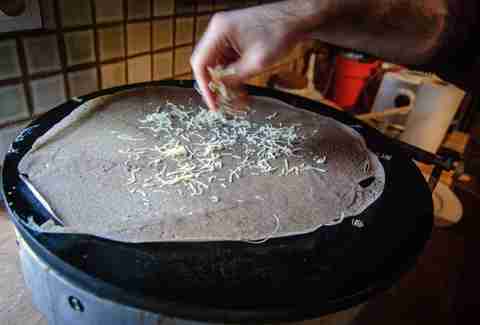 When the cheese oozes from a buckwheat crepe and begins to crisp up on the round, flat grill, magic happens. Crepe restaurants, like Breizh Café, might use some of the best ingredients, but good luck getting those little crisps of cheese that street side stands seem to have mastered. Take two of life’s most comforting dishes, mashed potatoes and melted cheese, and mix them together. The result? 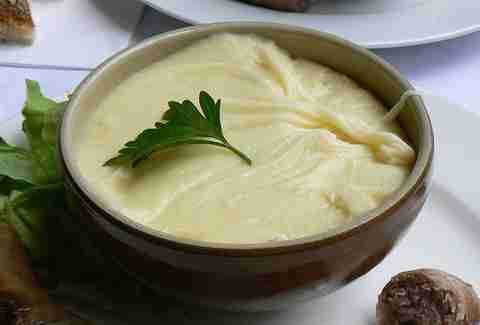 Aligot, a garlicky, rich, elastic, and straight-up delicious side dish for sausage and pork, or just eaten on its own. Let’s not be picky. If you’ve gained weight just reading this, there’s hope. 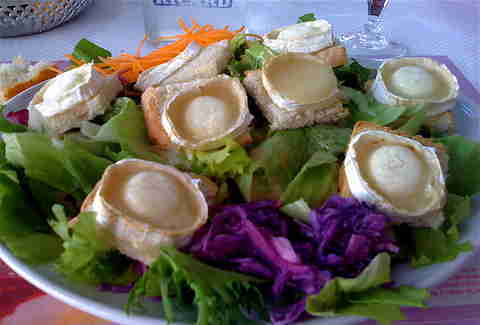 Most cafés offer a traditional warmed goat cheese salad. A bed of vegetables serves as, let’s face it, an elaborate garnish for pieces of toast with slightly melted discs of fresh, tangy goat cheese.